Hello To The Brilliant & Caring Minds Of The Online Audience(s)... And thank you for taking just 5 minutes out of your busy day to learn more about our mini LASIK documentary film, "IN THE BLINK OF AN EYE...A LASIK PUBLIC HEALTH ADVISORY FILM DOCUMENTARY:"
OF LASIK WEARS CONTACTS & GLASSES?" 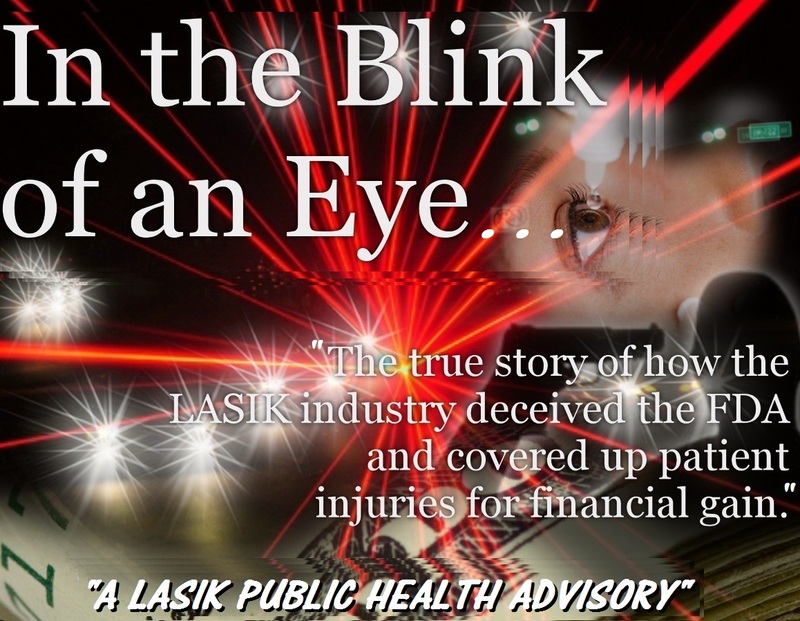 So, you're telling me that the LASIK approvals happened in and around 1996/1997, and yet here we are in March-May 2013, so why all of a sudden the need to issue a "LASIK Public Health Advisory" now and warn everyone that knows someone that has had LASIK, will get LASIK for a gift, or has already scheduled a LASIK irreversible eye surgery? Well, the truth is that the person who approved it, has attempted to get on tv and warn everyone, but the fact is that most of the population didn't get a chance to see and heed his warnings shown here over the last few years...So... who gave the "FDA Approval" for elective LASIK and why NOW is that same person asking for a complete REMOVAL of the FDA Approval? At the center of the team, was Dr. Morris Waxler, who at the time was the Chief Of Medical Devices, gave 26 years of public service to the FDA and the citizens he tried to protect, and has now come out telling the world that LASIK "takes a perfectly healthy and stable cornea and makes it diseased and sick for life!" Lastly, please take a minute to think about the severity of this film, and that the person who approved LASIK is out on a mission to BRING IT DOWN, to STOP slicing and lasering eyes, thinning and drying out the eye, and causing it to be "SICK" and "PERMANENTLY DISEASED," with no known cure available. Please help us with our mission to warn everyone all over the world to simply "STICK WITH CONTACTS OR GLASSES!" 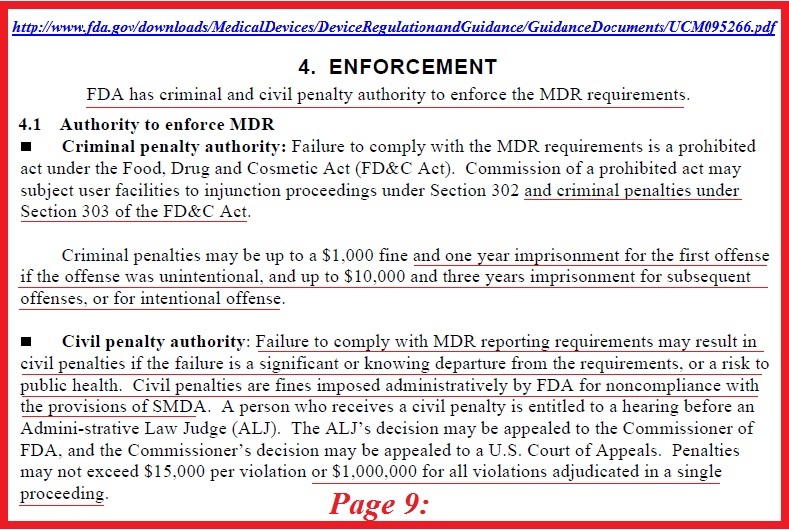 The FDA is NOT supposed to approve anything with a higher than 1% Adverse Event/Permanent Complication Rate or higher than 5% loss of 2 lines Best Corrected Visual Acuity (BCVA) yet LASIK is well over these limits, and the FDA continues to ignore this further failing to protect the public from further deception, fabrication of success rates, and fraud: (see 3.2.1): http://www.fda.gov/MedicalDevices/DeviceRegulationandGuidance/GuidanceDocuments/ucm080249.htm. Please spread the word...you've now been warned! Please warn others that you care about that LASIK is "NOT" a permanent solution, but rather a "TEMPORARY" solution that has "PERMANENT KNOWN INJURIES"...The real question is "are you willing to take this this PERMANENT GAMBLE knowing that the results are only TEMPORARY? Awesome cause! I'm happy to donate $50 for your film. People really need to know about how this supposedly harmless surgery can ruin their lives. It may work for lots of people, but do you really want to risk your only set of eyes? Thank you for taking the time to donate and to warn others about this very important cause...the world needs more people like you Mr. Hurley! I had Lasik surgery done in January of 2010 and have never been the same. I suffer from corneal neuropathy, which basically means the nerves in my eyes did not grow back correctly. I've been left with very sensitive eyes, extremely poor night vision, fluctuating acutiy and the inability to sowrk on the computer more than ten minutes at a time due to pain. As a result, I have had to close down my photography business. Getting the surgery is something I regret on a daily basis. It changed my life forever. I'm sorry you suffer. If more hurt and permanently damaged LASIK patients would legally stand on public land and picket their Lasik clinic that could care less that you're ruined....it would force change. I'm very sorry. Thank you. Permanently injured LASIK patients are led to believe that these doctors can fix what their doctor ruined...so they don't want to upset anyone that could cure them. Little do they know...there is no cure and the statute of limitations is ticking....the best thing injured patients can do is to warn others. http://www.indiegogo.com/projects/in-the-blink-of-an-eye-a-lasik-public-health-advisory/x/3370881. Or just go to www.IndieGogo.com and search: LASIK. This is interesting! I was really looking into getting lasik in boise for a while... Do you really think it's that unsafe? 1. You will have a permanent flap that never goes away, with known scarring under and at the surface interface. If you ever regress and most eyes do after 5 years, you'll find yourself back in contacts or glasses, except what they aren't telling you is that your eyes won't be able to tolerate them, because now the doctor sliced the corneal nerves and you no longer will produce the same amount of natural tears. 2. You can't sue a LASIK doctor and win (most likely) if you sign their Consent Form after they drug you with a valium. How about this new Visian ICL, would you consider this over LASIK? I would stick with disposable contact daily lenses if you can. There are so many out now, that are improved to minimize a dry eye feel, and stay hydrated. No need to clean with chemicals. Then throw away and get a freshly clean pair for the next day. I would NOT do any irreversible eye reshaping surgery or ICL lenses that effect your eyes biological potential. Especially Refractive Surgery as with LASIK which takes a perfectly healthy eye and slashes a permanent flap that never heals (ever) and can come unhinged at any time nor can one go in a public pool ever again under water, then thins out the cornea causing a huge astigmatism or even worse, Post LASIK Ectasia, which is what's turned into an epidemic with LASIK patients years later developing huge astigmatisms that continue to worsen. Google: CCL Avedro or Post LASIK Ectasia. You'll see the epidemic of eyes now "BULGING" like pizza crust due to being thinned out, now needing a new procedure that the LASIK docs are pushing fast to get through FDA Approval, because of all of the patients and lives they have ruined, who now are complaining to them! Good luck...hope this helps! What about PRK ? Is that any better ? Definitely NOT LASIK...the main reason why you hear everyone "venting" and "warning" online about their LASIK horror stories is because of the PERMANENT EYE FLAP that NEVER HEALS. Something the physicians and their trained commissioned staff should have been forthcoming about! That being said, any "good" and "experienced" clinic would tell you these truths and the "known long term permanent problems/injuries" that regress from LASIK. With PRK, I feel it is MUCH SAFER but STILL NOT WORTH THE RISKS. There is tremendous DRY EYE PAIN associated with both...I've had PRK on top of my LASIK and it yielded me much worse DRY EYE PAIN. Just go into any pharmacy and see all of the eye drops stating: "FOR LASIK DRYNESS." There's a reason and it's not just a "few of us" hurting with daily uncurable nonrelenting pain...it's regressive and permanent...and will/can ruin your life and your families. Again, all things left out of the sales process. I just wish I would have instead chosen "daily disposable soft hydrating contacts." That's the lesson I learned. NEVER LET ANYONE CUT/SLASH/INFLICT PERMANENT RESHAPING TO YOUR ONLY GOD GIVEN EYES... Good luck with your decision. Seriously? I personally know many LASIK surgeons and have been in and around the LASIK community for many years. What I'm reading is a lot of bogus information. Your videos are scare tactics so that you can raise money on PayPal. I think we all would like to have some proof. Who's your doctor? How many procedures did that Dr. perform in the past? Who was the ophthalmologist who diagnosed you prescription? What did you pay? And what state are you in? Once you have answered these questions I will confirm the information and come back to this site share what I have found. If you don't have this information or are unwilling to share then you're lying and raising money to produce your video movie to make even more money. Many people have had their eyesight ruined by lasik, from flap complications (freecap, button hole, tearing, wrinkles etc) to irregular corneas, ectasia, dry eye, night vision disturbances. Thank you and welcome Dr. Michael Tracy! What kind of physician are you? What can you recommend to make this blog even better so the public has sufficient warnings and informed consent prior to deciding to have this permanently - irreversible eye reshaping surgery? Please sign up for our newsletter that comes out once per month by sending an email to: film@lasikadvisory.com ! Dr. Michael Tracy is a Lasik Surgeon! You have been duped by a butcher. Thanks for sharing? Really this guy causes harm for a living not help. Looks like the 'expert' lasik surgeon has nothing better to do than post sarcastic comments. I have cataracts and am nearsighted. It seems that if I am going to have surgery for the cataracts, I might as well get the nearsightedness corrected. Is there a surgery that is less damaging to the eyes than LASIK? Mary, practically ANYTHING is a better choice. It is a FACT that having LASIK accelerates the need for Cataract Surgery. Yet the physicians and their paid commissioned "clerks" will deny this fact. I would hold out for as long as possible if you can, and then have Cataract Surgery which many do like. If you get LASIK, that will not solver your "cataracts." It only changes the prescription which then makes it harder to "pick the right correction" for you or if you get IOL "intra-ocular-lens" implants with prescription built in, then your doctor will have a tougher time after LASIK, in trying to figure out your exact prescription. Good luck on your decision, check wikipedia for cataract information. is bladeless lasik safer than normal lasik ? Manjit Singh Gulia: Unfortunately both really aren't safe nor proven to be effective enough to be worthy of the old FDA Approval which once upon a time, actually meant something... They both are guaranteed to leave their victim with the following permanent known injuries: A. A permanent scarred cornea. B. A permanent FLAP that can come loose at any moment. C. Permanent and debilitating DES "Dry Eye Pain" that is evident by millions of drops sold daily that can be seen at any pharmacy that proudly bear the warning on the front of the bottles: "FOR LASIK DRY EYE..." I could go on and on, but I think you understand. Anybody pushing LASIK really isn't a physician, but really a con artist as they are performing the magic trick of tricking you, the paying customer into spending $5,000 on a 10 minute procedure that will inflict all of this pain and suffering and for taking a perfectly HEALTHY eye that can wear contacts/glasses with no problems and instead inflicting DISEASE into it for the remainder of one's waking life on this planet. That's really the truth with LASIK. Go online or google and search: LASIK COMPLICATIONS and you will see all of the people now suffering coming out warning everyone of their evil lies and wanting justice on those that sold and performed this curse on them! I had blade-free lasik performed in September, 2011 and have regretted almost every day since. Although my vision was corrected, I now have to deal with dry eyes that I cannot get any real relief from. When I reported this fact at my follow up appointment the doctor told me that the issue should resolve itself in 6 months to a year. This never occurred and it is a constant struggle with my eyes. I have used pretty much every brand of eye drop, use a gel at night, have had punctal plugs inserted, and even started taking a fish oil supplement. Nothing seems to work. This whole thing has dramatically decreased my quality of life. Everyday I wish I could go back in time, do some proper research, and never had chosen to do the procedure. I try to hold out hope that maybe there will be a solution some day but it doesn't seem like that will happen. From the time I wake up in the morning until the time I go to bed my eyes bug me and I am constantly reminded of the stupid decision I made. What is worse is that this debilitating condition is not apparent to others and it feels like I am living a one-man struggle. The procedure was performed at laserview of cny located near Syracuse, NY. I'm very sorry to hear this. Unfortunately, we hear thousands of cases like this and everyone has the same story about what LASIK has taken from their lives, not added, and how every year it gets harder and harder to cope with the pain and the visual lack of acuity that were so easily attained with glasses and contacts. Again, I'm very sorry. The FDA is corrupt and is really to blame. There needs to be criminal arrests made at the highest levels. They are responsible for all of us suffering. They need to be in jail for what they knew when they passed LASIK. They always knew the flap never healed. They always knew that we would all eventually have Dry Eye Pain from cutting the nerves and they knew many of which would not grow back or heal or if they did, they would heal in a "mutated sort of way." They knew the safety studies were fraudulently fabricated/falsified. They knew that, and that's why they lied with the original safety studies so they could get FDA approval. Google Morris Waxler Lasik and youtube him too! You'll discover that because of our efforts, he came out and was the one at the FDA who oversaw the team to approve LASIK and is now trying to get the word out that it's NOT SAFE and that it's a crime as he stated it's 20-30x times more dangerous than originally thought to be! He now knows that those in charge of the studies were medical criminals and wants them investigated. Again, people need to go to jail where they belong for what they purposely did to us and to our families...Please continue to speak out and warn everyone that you know that LASIK centers can not be trusted! Thank you for the information that you have provided. You are literally saving lives. There are millions of people around the world who underwent LASIK surgery and now have significantly compromised vision. Many of these problems occurred years after the surgery. There are now new specialty lens technologies available to help this population. In addition, more and more money is being invested by major contact lens manufacturers in an effort to help this ever growing population. The "anonymous" patient who wrote the above letter should not give up hope. Please know that in addition to the millions of hurt LASIK patients, there are several million more patients who lost quality vision due to other refractive surgical procedures such as R-K, ALK, CK, and PRK. As an eye care provider, my suggestion is not to get involved with additional surgeries to correct the vision and comfort issues you now have which resulted from LASIK. The risk of additional damage is significantly higher with each additional procedure. Thanks guys for putting up all the useful info. I had followed and research for many years laser treatment4my eyes.concerned me that every year or so a different or better laser procedure is available. I was going2have lasik done, but not after reading and confirming your info.i ll stick to glasses n contacts. I had cataract surgery on both eyes, separately, and other than dry eyes, I have been very pleased with the results. The truth is, by the time I went for surgery, vision was so poor that I was legally blind in one eye, only a fraction from the "legally blind" standards for the other eye. So facing the possibility of total blindness, surgery looked pretty attractive to me. After surgery, it took several months to adjust to the reality that I could awaken and see almost perfectly. Prior to cateract surgery,after decades of wearing glasses or contacts, the only time I ever woke up to clear vision was when I'd fallen asleep with my glasses on or my contacts in. That said, I now have new concerns. About a month ago, going for my last post-op follow up, my ophthalmologist spent quite awhile examining both eyes, and finally he informed me that I had torn retinas on both eyes. He said my cateracts were so bad that they had blocked examination of the retinas. He also advised that the retinal tears showed some healing, indicating that the tears had been there for quite some time and were not a result of the cateract surgery. I was given to understand that the treatment, if indeed it required treatment, was not difficult, and I am scheduled for consultation for treatment of both retinal tears. After reading all of this, I have concerns. Should I be worried? I understand that torn retinas can lead to vision loss or even blindness. I do trust my ophthalmologist, but I am a realist. Is it likely that the cateract surgery did, in fact, cause my retinal tearing? And is it better to ride this out and take my chances, or is there greater risk of blindness if I don't go forward with further surgeries? Than you for all of your efforts. On behalf of the entire humankind, at least on behalf of those who behave as humans and are kind, I would like to express the deepest gratitude for your relentless efforts. Furthermore, I would like to bless you that you should be healthy and happy and blessed in every manner so you will be able to continue and WIN against this evil and greedy behavior practiced by doctors who betray their profession and undoubtedly they will also be punished measure for measure for knowingly harming patients. May others be follow up in their own lives the inspiration you provide here and find a cause in which they will also act to fight against and help correct the wrong and evil that still surrounds us. Amen! what about this new thing called RelEx Smile? been claimed its better than the LASIK blade or no-blade procedure ? Hi to all! I am from Afghanistan and 23 years old, as here are not much qualified doctors because of the situation in my country so many people told me to go to India for treatment, as I went to New Delhi, India I had a relative there who told me to go to a hospital named 'Bharti eye hospital', I had near sightedness in my right eye and my left eye was absolutely perfect but when I saw a doctor for treatment in the hospital he told me that I had problem in my both eyes and he recommended that I do Lasik surgery in my both eyes. I had absolutely no knowledge of what is 'Lasik surgery' as the doctor told me that it is a safe method of treatment which will only take a few minutes and your eyes will be perfect, he absolutely didn't mentioned anything negative with the operation, he didn't told me anything about the risks involved or anything at all. So I I mentioned before I didn't had any knowledge about what Lasik is, I decided to undergo the operation as the doctor assured me that it would heal my eyes. I did it on August, 2011 and since that time my life is nothing but a burden on me. I had glare, halos, star bursts, dry eyes, double vision and my right eye only works around 40 percent, it has been almost 3 years and my eyesight is getting worse, I think every single minute of my life that I would become blind today or tomorrow. After I did Lasik 6 weeks later my father died out of heart attack. I didn't went to India again as I couldn't because of my situation and I didn't had enough money. I went to Pakistan, I saw many doctors there, they all told me that my problem is permanent and can't be treated. Since my operation I can't go to college anymore I can't work or marry as my eyesight near to blind, I am just waiting for my death as there is nothing left for me in this life. Please help me someone, what shall I do, can I be treated? www.EyeFreedom.com . He has helped a lot of injured LASIK and post RK patients. I wear contacts and have been for 30 yrs(-5.75) I was referred by my optometrist for PRK because of scar tissue from an eye injury.I went to a consultation for LASIK/PRK and they told me that they were not sure if they could fix it and that they had to talk to the doctor.They called me back yesterday and said they could do PRK on the scarred eye and LASIK on the other eye.After further research and looking at this website I am not sure what to do.Should I live with the blurred vision or make it worse by getting PRK? Don't do it. Stick with contacts and glasses. People that get PRK and LASIK aren't being told the whole story...and how they will thin out the cornea...creating permanent nerve injuries and permanently causing dry eye for life due to the divot that the surgeon creates which he knows will cause an uneven tear film distribution. ..go look at all of the POST LASIK DRY EYE DROP ....millions of innocent families were lied to about this. The FDA is there to protect industry not protect the consumer. Injured by LASIK?? 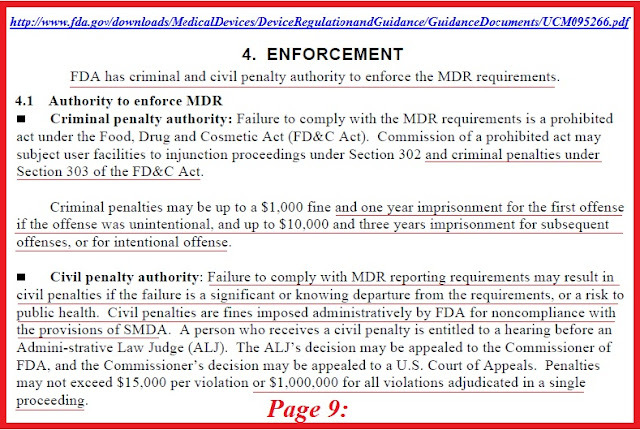 complain to the FDA and see if you get a call or email reply. You won't. You've been warned. What about Femto-Lasik & Femto-Smile new technology? Aren't they better and safer than normal lasik? Do they cause the same complications as Lasik??? My friend is having vision power of L5.9 & R 6 , she is advised by the doctors to do lasik ,, two types are preffered , blade and bladeless, costwise bladless is too cosltier than with blade surgery .. now her cornea thickness is 499microns , can any doctors advise which is the best to move forward .. i have plan to do with blade surgery ,, willthere be any side effects ? 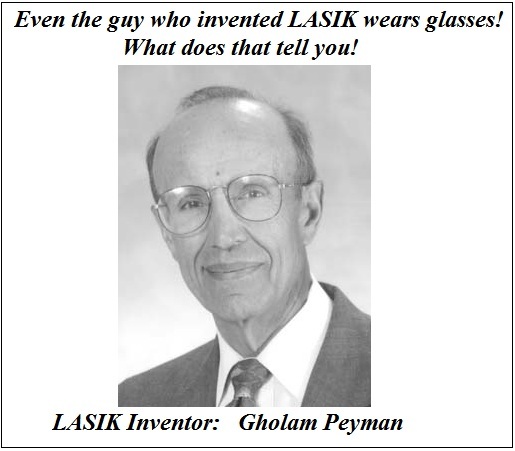 The fact that the LASIK inventor did not undergo LASIK seems to be a moot point considering his age. He definitely looks older than 40 years old to me, and the best candidates for LASIK tend to be on the younger side of the age range--since mid-age, you start to develop far-sightedness naturally, because your lens becomes more rigid with age. Some older patients opt for monovision, where one eye undergoes LASIK for nearsightedness,and the other remains untouched and used for farsightedness (much like glasses will have a spot for far-sighted vision amid the near-sighted vision). Your other points may be valid though. Just pointing out that the inventor not undergoing LASIK was not as convincing to me, as his age does not make him the ideal candidate--so why would he choose to undergo a procedure when he is not the ideal candidate? Thank you for posting this information though. I read up on Dr. Rosenthal. It sounds like he is suspecting patients with a history of autoimmune diseases may be at a higher risk of developing corneal neuralgia. He thinks more studies need to be done in this area, but suspects this may end up being a good risk factor for LASIK surgeons to consider in evaluating candidacy for the surgery. 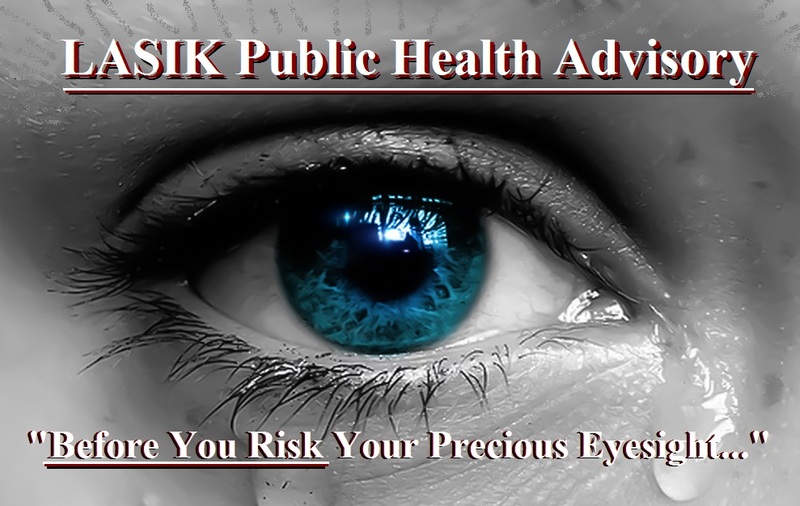 LASIK MAKES HEALTHY EYES "SICK" & "DISEASED:"
LASIK LAWSUITS POP UP EVERYWHERE!